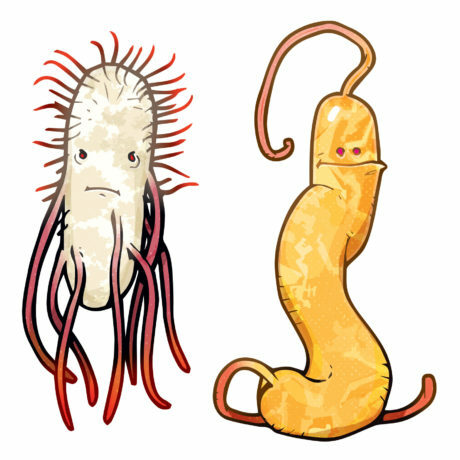 We would like to remind you that some bacteria can cause diarrhea simply through the secretion of a toxin. We refer those cases as food poisoning. Many different bacteria make these toxins, such as Staphylococcus aureus. When you get food poisoning due to the enterotoxin of S. aureus the symptoms (diarrhea, intestinal cramps) will occur few hours after eating. On the other hand a gastroenteritis is due to the presence of bacteria in the intestinal tract that are replicating and causing a diarrhea. Besides bacteria (Salmonella, Campylobacter, Shigella,…), viruses (norovirus, enterovirus) can also be the cause of gastroenteritis. Similar symptoms are experienced when infected with pathogenic amoebas (Entamoeba histolytica). Food borne pathogens do not only cause food poisoning or gastroenteritis. Listeria monocytogenes can cause meningitis, sepsis, pneumonia and induce miscarriage in pregnant women. Cases of Listeria monocytogenes have to be reported in Switzerland since 1975, but epidemics occur rarely. So far there have been only four. A small epidemic of listeria was observed at the CHUV in 1983-84. It lasted 15 months and affected 11 neonates and 14 adults causing mainly neuromeningeal diseases (7 meningo-encephalitis, 3 meningitis and 1 encephalitis). The mortality during the epidemic reached 45% (5 out of 11) (1). A few years later in 1987 a second epidemic with more cases occurred in the French-speaking part of Switzerland. The source of the epidemic was linked back to vacherin Mont d’Or cheese contaminated with Listeria monocytogenes serotype 4b (2). 57 people were affected with a mortality of 32% (18 patients) mainly due to meningoencephalitis caused by the bacteria (3). 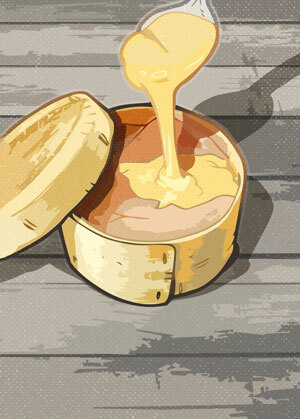 The third epidemic occurred in 2005 in the state of Neuchatel touching 8 people that consumed artisanal fresh cheese. The patients were elderly and with an impaired immune system. The mortality rate was 38% (3 patients). There were also two miscarriages during this epidemic. The production of the cheese was halted and retracted from the market, which allowed the epidemic to be stopped rapidly (4). The fourth epidemic occurred in 2011 in 3 states in Switzerland with 9 patients that ate ham imported from Italy by a single vendor. There were no fatalities and the symptoms were mostly intestinal with some headaches and one case of pneumonia.